Bastion is a cult indie title from Supergiant Games that made a highly successful transition to iPad earlier in the year. Now a universal iOS app, iPhone gamers have the opportunity to experience this beautiful, deep and exciting action title for the first time. Bastion is set in the land of Caelondia and follows the adventures of the Kid, a survivor of a cataclysmic event known as The Calamity. The Kid must fight his way through innumerate enemies across stark landscapes as he sets out in search of survivors. For a port, Bastion is an iPhone game that features wonderfully streamlined controls, utilizing a simple tap-and-drag system to explore the world. All you have to do is tap to where you want the Kid to go and double-tap to dodge. The Kid automatically fires his weapon at any enemies within range, so your main focus is moving him into the best firing positions, avoiding attacks and and navigating obstacles. Bastion does feature the ability to turn on virtual joysticks for those players that prefer an ‘analogue’ control system. 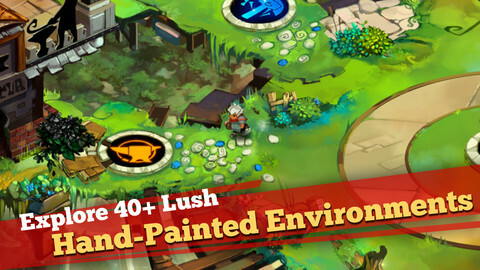 None of the visual elegance of Bastion is lost in the port to iPhone – the game simply looks amazing. Super-detailed hand-drawn artwork and surreal level design enrich the whole experience. High-quality voice acting and game narration add to the rich story of Bastion. 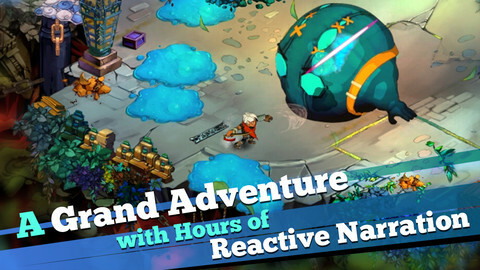 Bastion for iPhone combines an engaging story, brilliant graphics and an intuitive touch control system. 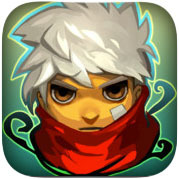 At $4.99, Bastion (iTunes link) is a must-have title for any iPhone gamer or RPG enthusiast. Bastion is an iPhone game compatible with iPhone 3GS, iPhone 4, iPhone 4S, iPhone 5, iPod touch (3rd generation), iPod touch (4th generation), iPod touch (5th generation) and iPad. Requires iOS 5.1 or later. Bastion is a game optimized for iPhone 5.